The world currently faces a trove of seemingly insurmountable problems – from climate change to poverty to human rights, to name a few. Yet humanity is also engaged in the largest mobilization in its history, with millions around the globe fighting every day to build a better future. Leading this charge is the Millennial generation, which last year overtook the Baby Boomers as America’s largest cohort. In a similar shift north of the border, Millennials became the largest generation in the Canadian workforce. 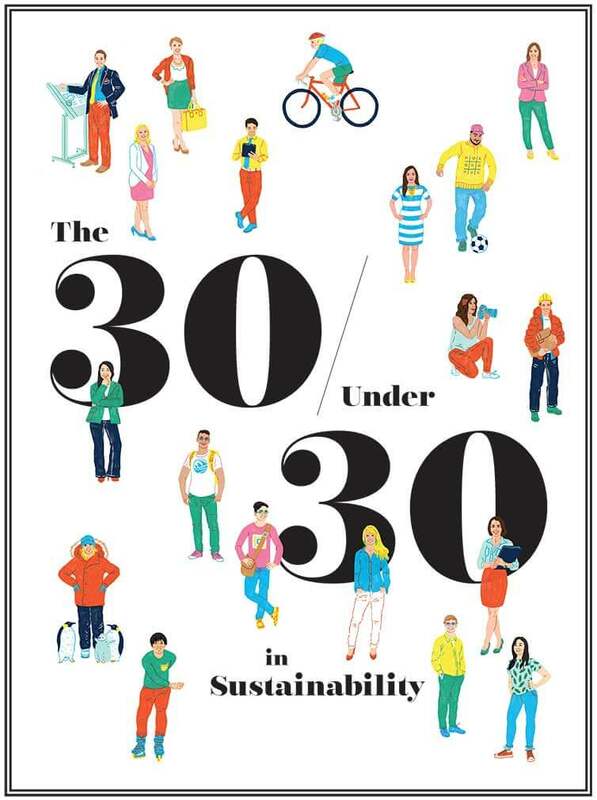 The best-educated generation in North American history is eager to change the world in its image, whether it’s by investing through its values, encouraging MBA programs to integrate sustainability into its curriculum or building a more inclusive society. A sustainable society is one that treats all of our sources of wealth – human, financial, natural, social, and produced – with equal importance. On balance, when we enhance our various forms of capital on a net basis, we enhance our overall wealth. 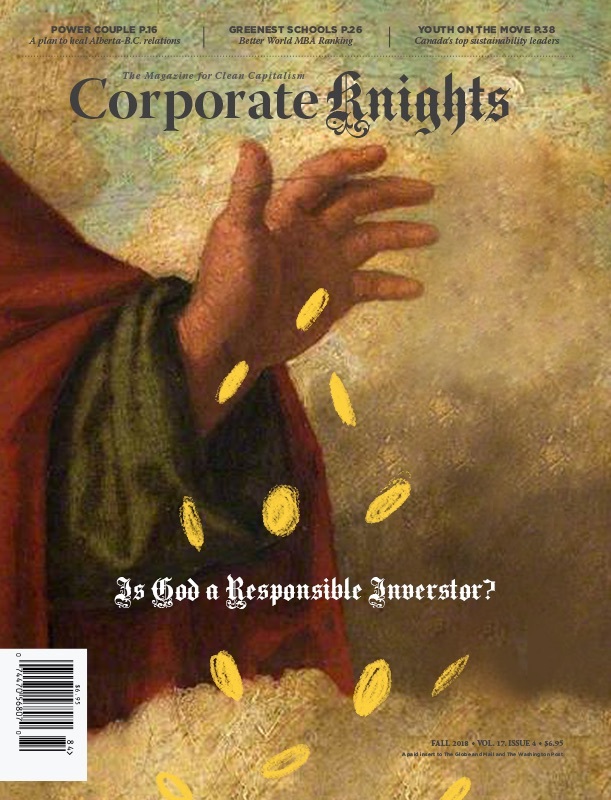 Corporate Knights, with sponsorship support from insurance co-operative The Co-operators, decided to apply this holistic definition when choosing our 2016 30 Under 30 in sustainability. A celebration of young leaders across Canada pushing for systemic change, this diverse group spans the spectrum from social entrepreneurs to inventors and researchers (listed in no particular order). We’re also pleased to partner with the Impact! Youth Program for Sustainability Leadership to create opportunities for experienced professionals to mentor young leaders, including our final 2016 30 under 30. 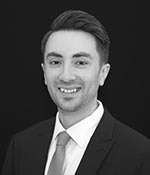 Jon recently joined architecture and design firm Perkins+Will’s Toronto office as the new sustainability practice leader, managing the sustainability consulting services for the firm. An expert in the realm of environment and sustainability, Jon is a keen advocate for practical business approaches to sustainability, and has dedicated his career to promoting leading edge sustainable designs and initiatives. Jon started his career eight years ago as a green building consultant for what was then a startup. He provided consulting services to a variety of clients both domestically and across the globe, leading sustainable design facilitations on a number of prominent projects. His portfolio includes the first LEED Platinum building in Toronto, Atlantic Canada’s first LEED Platinum building and Canada’s first triple LEED Platinum building. At a young age Jon was recognized by Natural Resources Canada and presented the Energy Ambassador Award for his early work in sustainable design. He also achieved his LEED AP designation at the age of 18. A group of University of Calgary biomedical students knew they were onto something when their project won Best Environmental Project at the International Genetically Engineered Machines World Finals at MIT. After graduation, Emily teamed up with a few friends to turn this idea into a cleantech startup named FREDsense Technologies. A Calgary-based biosensor company, FREDsense combines genetic engineering and electrochemistry to create portable devices that measure contaminants in water directly in the field. The company aims to make water quality monitoring more accessible and eliminate the long wait times to get results back from analytical labs. Its first product is an arsenic sensor, which uses a handheld device to detect arsenic in water down to parts per billion levels. 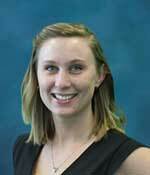 Emily has been recognized with several awards for her work at FREDsense. She was the winner of the National Nicol Entrepreneurial award, Innovate Calgary’s 2013 Tech Showcase, the Queen’s Entrepreneurs’ competition and EVOK Innovations’ Cleantech Pitch Session at GLOBE 2016 and has been chosen as a Kairos Fellow. This past fall, FREDsense was chosen as the only Canadian company to attend Singularity University’s SU LABS accelerator cohort and was recognized by the Kairos society as one of the top 50 tech companies led by people under 25. Ben has taken conventional mine closure planning practices and given them a major jolt. 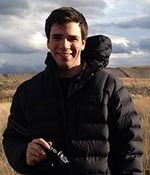 He worked collaboratively for over a year with the New Gold Mine, the Stk’emlupsemc te Secwepemc Nation and the University of British Columbia to develop a holistic mine closure plan, which took into account past, present and future use of the land. He’s now at KPMG attempting to shift infrastructure advisory planning to embark on a similar path of incorporating knowledge from aboriginal communities on a much larger, diverse scale. Ben’s diverse technical background in the mining industry has helped him to bridge gaps between companies and communities for decisions on complex problems in resource development. He continues to push for better practices in the mining industry to ensure communities are properly considered in all aspects of the project life cycle, from environmental assessments and permitting through to operations, closure and post-closure land use planning. As the corporate environmental coordinator for TC Transcontinental, Charles David is working to implement a stricter paper-purchasing policy across the company – one which strongly encourages third-party forest certification. In the past three years, the proportion of FSC, SFI or PEFC paper bought by the company has increased from 67 to 95 per cent. Moreover, as an active member of the company’s CSR steering committee, he leads the environmental section and, with the collaboration of his colleagues, sets up ambitious targets for waste, sustainable purchasing, energy efficiency and carbon reduction. To increase the awareness of environmental issues in the industry, Charles David represents TC Transcontinental in the Sustainable Packaging Coalition, as well as on the SAPPI North America Sustainability Customer Council. Finally, he teaches at the Ecole de technologie supérieure in Montreal, where he is passionate about developing the next generation of problem-solving environmental engineers. An emerging leader in corporate and organizational sustainability with an outstanding record of contribution across the private and not-for-profit sectors, Dana is currently the manager of the Intact Centre on Climate Adaptation. She leads the operations of a multimillion-dollar national research centre that focuses on mobilizing solutions to address climate change and extreme weather events. Dana has identified that the life insurance industry is “missing in action” in identifying how climate change and extreme weather will impact the sector. She is coordinating efforts between Health Canada and the major life insurers in Canada (notably Sun Life and Manulife) to assess the potential implications of extreme weather to the life insurance sector. Dana is also presenting leading edge work on climate change and extreme weather to the senior most levels of industry and government in Canada. Danielle has managed to pick up five languages while travelling the world as a photographer and director, and is learning three more. 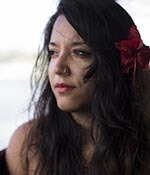 Focused on visually communicating the extraordinary efforts of people to solve the most challenging problems, she is most passionate about protecting the environment and the rights of indigenous and marginalized peoples. She is the founder of Photographers Without Borders, a non-profit that shares the positive narratives of grassroots organizations and NGOs to empower humanity and inspire social change. From organizations protecting wildlife to groups empowering women, she has shared the incredible stories of the opportunities and bright futures that come from the dedicated work of the organizations by talking at conferences, TEDx Talks and outreach with students. She teaches photo documentary workshops around the world, and is also the co-founder of the Sumatran Wildlife Sanctuary. Danielle’s images have been published by National Geographic, the United Nations, Vogue, Elle, Cream and The Economist, among others. She has been nominated for the 2015 Women in Biz Network’s Social for Good Award, the 2016 Forbes 30 Under 30 Entrepreneurs and also the 2016 RBC Canadian Women Entrepreneur Awards. Busy as a consultant at Boston Consulting Group, Jen began to see the potential to address social issues and create sustainable shared value at the intersection of the private and social sectors. She took a four-month leave to work with Yunus Social Business in Haiti to set up an ecosystem to reinforce business in the agriculture space and to help entrepreneurs launch social businesses. Departing for the Kellogg School of Management, she specialized in social enterprise, finance and strategy. She was part of the winning team in the MBA Impact Investing Network and Training competition, securing $50,000 in seed financing for a social enterprise they sourced, completed diligence on and pitched to the investment committee. The business seeks to reduce recidivism by providing access to educational materials via technology to inmates in jails. Back at BCG, Jen is now part of the global social impact immersion program. Recent projects include tackling chronic hunger with the World Food Program and governments in sub-Saharan Africa to formulating a business model and validating the economics for a social business to sustainably address youth unemployment in the region. After her first-ever job interview, Ishita was informed the role would be fulfilled by a better suited applicant because the co-manager was “more comfortable dealing with men.” The incident triggered her interest in gender equality and social sustainability, an often neglected pillar of sustainable development. She quickly carved out a space serving as the first access and equity blogger @ U of T Student Life Blog, while helping to found the Women in Science and Engineering National Conference. 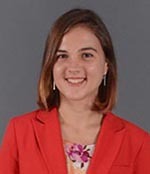 Later, she founded and coordinated WISE’s National Student Research Poster Competition, promoting work of aspiring women scientists and reducing gender bias. Currently, she works as an on-air reporter at VIBE 105.5 FM at York University, as well as a research associate at the International Women’s Rights Project. This fall she launched Behind-The-Scenes magazine (B-T-S), an E-zine that aims to shed light on often unseen and under-reported gender-based macro- and micro-aggressions in society. B-T-S accepts and anonymously publishes prose, poetry, art and photography that detail an individual’s lived experiences with gender prejudice and discrimination. Armed with a master’s degree in engineering and sustainability from Queen’s University, Howard is determined to find practical solutions to solve climate change and other sustainability challenges. He built experience in the sustainability field by co-founding the Queen’s University chapter of Students Offering Support, working as the environmental manager for an eco-friendly coffee shop and founding a sustainability consultancy startup called Carbon Savings. In 2014, Howard joined Home Depot Canada as an embedded energy manager. He oversaw the energy team’s annual budget, established its 2020 vision and helped the company realize significant annual energy savings (8 per cent) through retrofit projects. Howard now works for Toronto Hydro as a key account consultant, where he is leveraging his energy expertise to help organizations find ways to save money and reduce their environmental footprint. His portfolio includes hotels, museums, community centres and large entertainment facilities such as the CN Tower and Ripley’s Aquarium. Whenever a hot-button energy debate is in the news, Erin can be found providing expert analysis on BNN and Power and Politics, as well as other news and current affairs television programs. A sharp and strategic advocate with a depth of knowledge on climate change issues that matches that of environmental veterans, she is by far the youngest program director at Pembina. She’s stepped up to take on leadership and coordination roles at critical moments for the institute, including leading the organization’s delegation to the United Nations climate talks in Paris and spearheading their engagement with the federal government as it develops a new climate strategy for Canada. All of this requires her to be knowledgeable across a broad range of energy and climate issues. And she’s not just comfortable with them at the policy level. Erin puts her engineering toolkit to good use by digging into the numbers and specifics of potential climate and economic impacts. Tahnee is a leading young Arctic scholar whose passion for environmental and gender rights in Canada’s North informs her academic work and her extensive community engagement. 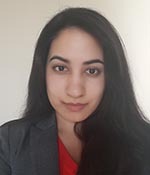 A PhD candidate at the Balsillie School of International Affairs, Tahnee holds both a Trudeau Foundation doctoral scholarship and a Vanier Canada graduate scholarship. She has published and presented her research on Arctic pollution, environmental governance and on indigenous rights and gender in the Arctic. She is a contributor to the Arctic Council’s forthcoming Arctic Resilience Report and the Canadian Centre for Policy Alternatives’ 2017 Alternative Federal Budget as well as Open Canada. 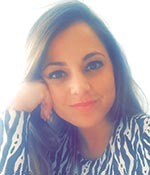 Currently, she is a visiting researcher with the Arctic Futures Initiative at the International Institute for Applied Systems Analysis in Laxenburg, Austria. Prior to her doctoral work, Tahnee was the lead researcher of a project on climate change and human rights, commissioned by the Finnish Ministry for Foreign Affairs and undertaken at the University of Lapland in Finland. In addition to her academic work, Tahnee recently co-founded Plan A, a platform for women to share stories and research on the North, and has served on the board of the Thousand Network, an organization of young change-makers on five continents. Kevin is a social entrepreneur who is dedicated to building more livable and resilient communities. Most recently, he co-founded an initiative that is animating public spaces across Toronto. Using a collaborative human approach to urban design, the Public Accessory Commission has brought together various groups to provide 12 youth through their Cycle Home program with pre-apprenticeships, paid work and a shared sense of neighbourhood pride as they co-design and build signature bike racks by and for the community. He also serves as the co-chair of the Toronto Youth Equity Strategy, where he helped secure $958,000 for youth social infrastructure and fought to give youth a meaningful role in police governance. 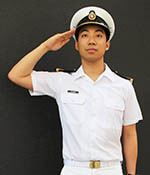 Kevin has a second career as a military officer in the Canadian Armed Forces where he serves part-time in the Royal Canadian Navy as a naval reservist and intelligence officer. He was named Canada’s Top Under 30 Pan-Asian Leader in 2014, a Next Gen Leader in 2016 with Canada’s Centre for Israel and Jewish Affairs and appointed a Public Fellow as a leading Canadian thinker under 35 for the 2016 Spur Festival. 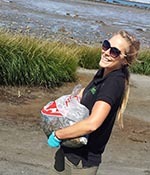 Morgan heads up the Youth Conservation Corps of the Clean Foundation, which was founded in 1988 as an act of the Nova Scotia legislature and has become one of the leading environmental charities in the Maritimes. Beginning as an intern herself in 2012, she has become the steady backbone of the training and mentorship program. Morgan’s natural leadership abilities were amplified when she spearheaded the innovative Aboriginal Leadership Program, focused on training and internships for youth at risk of underemployment. She also integrated Mi’kmaw traditions such as Two-Eyed Seeing into the development of the program and promotes these teachings into the wider Youth Corps. 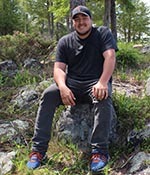 The Aboriginal Leadership Program was piloted in 2014 with five students. With her determination it continues to grow, from nine placements in 2015 to 15 this year. She has also been critical in the export and delivery of the program into new countries. 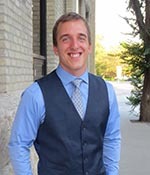 Morgan also volunteers for GOT Parks, sits on various provincial environmental caucuses, supports local food projects and is the chair of personnel for Sherbrooke Lake Camp. 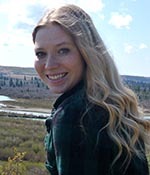 In her master’s research at Laval University, Marianne showed that climate-related invasions of boreal fish species in Arctic waters could lead to rapid changes in marine food webs. Now pursuing an interdisciplinary PhD at McGill University, she is investigating how climate change is affecting Arctic marine food webs, ecosystem services and the well-being of Inuit communities. Through her research, Marianne hopes to provide knowledge that will help governments sustainably manage ecosystems. Her research was featured in the June 2016 issue of Canadian Geographic. Marianne is determined to make a positive impact beyond academia through public outreach and education. She pursues this goal through numerous venues, from writing articles in newspapers and magazines, organizing conferences, giving lectures in schools, participating in TV and web shows and writing her own blogs. She is also involved in the Montreal Climate Coalition, which is working to gain support to decarbonize Montreal. When a company in Niagara wants to reduce its environmental footprint, who does it call? Tikvah Mindorff. Tikvah is the executive director at Niagara Sustainability Initiative (NSI), a not-for-profit that helps public and private organizations measure and reduce their environmental footprint in Niagara Region. Her enthusiasm and carefree workplace environment has drawn together a dedicated team of over 50 staff and volunteers that has led to strong growth in program sponsorship, membership and event attendance at NSI. 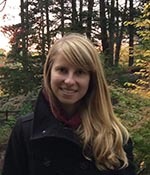 Tikvah also volunteers as an active member of the St. Catharines Green Party riding, sits on the Engaging Communities Committee for the Environmental Sustainability Research Centre at Brock University and is a board member for TD Friends of the Environment Fund. Since earning a degree from Western University’s Ivey School of Business, Anastasia has developed a promising career in the Canadian sustainability industry. Having cut her teeth in the non-profit sector at Ashoka Canada and the UN Global Compact Network Canada, she joined TD Bank Group. Her aptitude for learning and her ability to make an impact within the organization has allowed her to quickly advance to the manager of corporate environmental affairs. 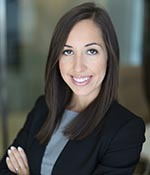 Anastasia shows strong commitment and integrity in her work and plays key roles in supporting environmentally responsible business practices, including her leadership in TD’s CSR report, carbon neutral program and the TD Green Bond. She is also passionate about social finance and volunteers for Toronto+Acumen, the local chapter of a global impact investment venture fund. 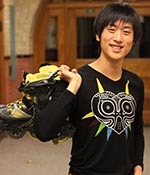 There are few students who took such advantage of university as Alan, a recent graduate of McGill University. An energetic and enthusiastic change-maker, he has been working to advance sustainability initiatives related to place-making. He helped to disburse an $840,000 Sustainability Projects Fund to student/staff-led sustainability initiatives on campus. As a live-in facilitator of the ECOLE Project, Alan was a key part of the development of a community-oriented sustainability living and learning collective which has become a flourishing hub for environmental and social justice work at McGill and in the broader community. His research for and leadership of the McGill Spaces Project resulted in the creation of a strong core team to drive a cross-collaborative, multi-stakeholder process that developed a vision for sustainable campus spaces. In the summer of 2015, Alan took the time to explore his cultural heritage in order to better understand his intersectionalities. To this end, he joined the Hua Foundation in Vancouver as its Chinatown food security summer coordinator. He worked to engage with intercultural youth around conversations involving cultural identity and the social sustainability of Chinatown’s cultural food assets through intergenerational cooking workshops, municipal policy analysis and Mandarin translations for local historical tours. 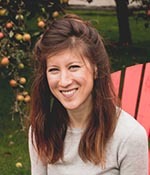 As an environmental science major, Kimiko wanted to bring more sustainable and healthy products to the consumer market. In 2013, she launched her first business, Seeds of Change Workshops, which provides workshops on do-it-yourself household products. Kimiko’s second business, Miiko Skin Co is a local natural skincare business that blossomed from the requests of Seeds of Change Workshop participants. Kimiko launched Miiko Skin Co in November 2015 after eight months of focus group testing and planning. The focus was to provide effective non-toxic skincare products using the highest quality local ingredients and suppliers. Her two businesses have seen enormous growth in their first years, and continue to attract customers who want to live a life with fewer toxins and chemicals. Aside from business, Kimiko’s greatest passion is to bring like-minded individuals together at her workshops and build a sense of community. In 2014, Bethany founded the non-profit organization One Step Shoe Recycling to share her passion for sustainability. Since incorporating with the federal government, One Step has organized shoe collections of unwanted footwear across Canada to redistribute to those in need. More than 15,000 shoes have been redistributed to 16 countries worldwide, and the program has diverted over 16,000 pounds of waste from Canadian landfills. She has now spoken to over 4,000 youth in Newfoundland to educate communities about sustainability, what it means to be a youth leader and how One Step has sought to address consumerism culture. Since launching the program, she has been awarded the 2015 Newfoundland and Labrador Environmental Leadership Award. Bethany left for France in August 2016 to pursue her intentions of integrating sustainability into the space industry. 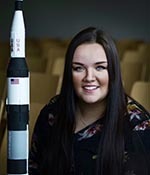 She was accepted as one of 40 individuals worldwide to complete her master’s degree from the International Space University. This dream began at the Impact! Youth Conference for Sustainability Leadership in 2014, when she met with Canadian astronaut Chris Hadfield, and told him about her astronaut aspirations. The commander of Expedition 35 encouraged her to make a change in her community by engaging with something she cares about to not only reflect her integrity but also her leadership abilities. Still a teenager, Alana is fast becoming a leader in the protection of the environment through activism and scientific research. 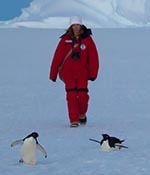 A participant in the Students on Ice (SOI) expedition to Antarctica at age 14 and the SOI Arctic Expedition by age 15, she has been involved in environmental education efforts through Project Penguin and Polar Protectors, among others. Alana won funding for and implemented three innovative projects through Saskatchewan Caring For Our Watersheds: Project Penguin (environmental education), Kickstart Change (sustainable transportation) and Insect Hotels (biodiversity). She has also received national and regional awards for sustainability awareness videos in Earth Science Canada’s WHERE Challenge. Alana was selected as the Saskatchewan Junior Citizen of the Year and Diamond Jubilee Medal recipient, and was awarded a 2016 Schulich Leader Scholarship for $60,000 and the $40,000 President’s First and Best Scholarship at University of Saskatchewan to pursue a bachelor’s degree in science. Through a wide range of work experiences, David has built the skills needed to tackle complex sustainability challenges. He has experience working in the U.S. House of Representatives, in the Food Systems Planning and Healthy Communities Lab at the University of Buffalo and for NASA developing products to increase education and awareness of human spaceflight, just to name a few. David is also the founder and executive director of the non-profit think tank Center for Development and Strategy. Most recently, he completed a co-op placement at U.S. National Oceanic and Atmospheric Administration where he developed a business strategy to help balance environmental and economic goals across the National Marine Sanctuary System. 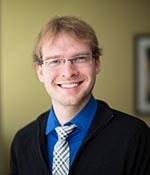 David is expanding his sustainability expertise by working towards a master’s of science in sustainability management at the University of Toronto. Tessa is a talented young Syilx woman who has been instrumental in empowering, challenging and encouraging Syilx youth to become more involved in water. 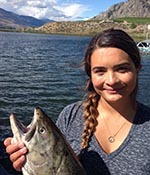 She has a background in environmental studies and work experience from one of Canada’s First Nations-led fisheries, Kt cp’elk’ stim’ with the Okanagan Nation Alliance Fisheries Department. Passionate about water, she has helped create two youth groups: the Syilx Youth Water Leaders and the Columbia Basin Transboundary Youth Network. 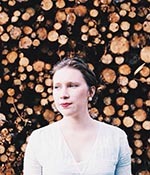 Tessa’s work is shaped by countless millennia of traditional knowledge, close-knit community and her determination to keep educating herself. She surrounds herself with like-minded people willing to help change, be change and create change for the betterment of future generations, for the land, and for the plants and animals. Tessa is a catalyst for many young Aboriginal people willing to be activists, movers of change and dreamers alike. From Greenlandic icefields to law offices of Washington, D.C., Graham has demonstrated true passion for the Arctic and forests. As a student he co-founded the Youth Arctic Coalition, a circumpolar youth voice to influence Arctic governance. 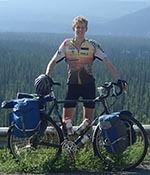 He also founded and ran GrassRoutes Biking, a group which has biked across Canada, Turkey and the Canadian Arctic, fundraising and hosting climate change workshops. During these journeys, GrassRoutes has engaged more than 1,800 young leaders and raised more than $11,000 for youth-led environmental projects. Graham worked for a summer aboard the research sloop Arctic Tern I, sailing between Greenland and Nunavut to conduct research on Inuit sustainable resource management. He has advocated for the same cause at the UN Conference on Sustainable Development, for which he co-founded a youth delegation in 2012. Graham spent last year in southwestern China, studying Mandarin and evaluating China’s role in the upcoming transition to sustainable development. 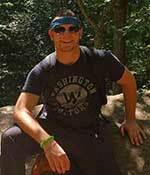 He now serves as board member of Sierra Club Canada while studying law at the University of Victoria. From Winnipeg, David founded CitiGrow, an innovative business that uses underused urban spaces to grow food sustainably for the local population. CitiGrow builds, operates and maintains micro-farms as close as possible to the final destination for the food, which includes residents, restaurants and retailers in Winnipeg. David boasts that none of CitiGrow’s products travel farther than 25 km, with most sold within 15 km of the small-scale farms. In addition to cutting the need for pesticides and other chemicals, this proximity gets the food “from farm to table” often within a matter of minutes, delivering the freshest possible ingredients for customers. With a commitment to improving local food systems, David wants to exemplify the possibilities of local, sustainable food production for communities across North America. He also acts on the board of Food Matters Manitoba, an organization that partners with communities to address food security by making food more available, sustainable and affordable. When she was only 15 years old, Kelcie began her research into developing novel remediation methods for the Alberta oil sands. She has been recognized as one of Canada’s Top 20 under 20, Next 36, a Great Canadian Game Changer and one of Canada’s Top Energy Innovators. At age 21, she capitalized on her natural remediation methods to found her first company, MycoRemedy. She has also committed a portion of MycoRemedy’s profits to fund the remediation of ecologically sensitive areas around the world. At the time Kelcie started her work into environmental remediation, she also partook in a research expedition through the Northwest Passage. Since then she has also been part of a research program monitoring coral reefs in Cuba. Apart from being committed to discovering and creating natural solutions to some of our most pressing environmental problems, Kelcie is equally as passionate about nurturing a love for science, innovation and the environment in the younger generation and in society as a whole. Through mentorship, public speaking and sharing her story she hopes to show that citizen scientists and young people can be a driving force in environmental innovation. At just 15, Alice is already a leader. As the current events coordinator of the Toronto Youth Environmental Council, she has organized numerous conferences, workshops and charity fundraisers. Her work has ranged from working alongside Nobel Peace Prize winner Brad Bass to educate nearly 120 peers on green roofs to partnering with national organizations such as Evergreen and HSBC as part of an annual Youth Action Series across Canada to plan the Eco-Hack Your Life conference. On the advocacy frontier, Alice serves municipally as the deputy director of environment on the City Youth Council of Toronto, where she also works as a youth councillor for Ward 40 to organize town halls. When she’s not also discussing policy changes to the TDSB Eco-Schools program at monthly consultations as the secretary-treasurer of the Toronto District School Board Student Senate, Alice is involved in her school Environmental Council, having educated her student body on the importance of waste diversion, decreased meat consumption and tree planting for the past three years. 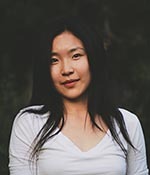 In the summer of 2016, Alice was chosen for the 2016 Cohort at Ryerson Basecamp, a selective summer incubation program for young entrepreneurs, where she developed her social enterprise Global Figure, a one-stop multimedia online hub of information and connection for eco-conscious youth. Following multiple suicides in the community of Whitefish River First Nation, Jordi became a community mentor for Right to Play’s Promoting Life-skills in Aboriginal Youth program. As a community mentor, Jordi works one on one and in groups with young people to teach resilience, and life, leadership and communication skills. The purpose of the program is to provide young people with an outlet for self-expression and activity, and reduce isolation while working toward more inclusive and engaged communities. Jordi has seen positive impacts from the program, including individual development of self-esteem and community engagement, and a collective decline in suicide risk. He had the opportunity to help a youth through their suicide thoughts and work out a safe plan for when they needed help. Jordi is certified in Applied Suicide Intervention Skills Training (ASIST), as well as Mental Health First Aid Canada. He is also currently training to be a Wilderness First Responder. Aaron started getting involved in the environmental movement in grade 7 when he kickstarted a battery recycling program at Captain James Cook Elementary. Since then he has continued to grow as a leader and increase his impact. 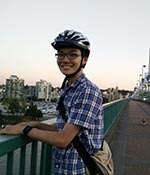 In grade 10, Aaron co-organized the inaugural sustainability conference for the Vancouver School Board, while also running his school’s Environmental Club. Now, he is in his second year at Simon Fraser University studying global environmental systems and is currently co-founding City Hub Initiative, a non-profit organization in Vancouver aimed at providing young change-makers with the resources and infrastructure they need to see their projects through. 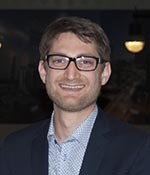 Aaron also serves as vice-chair of the City of Vancouver Children, Youth and Families Advisory Committee. Since graduating from the Haskayne School of Business in 2011, Samanta has worked with executives from a range of industries, identifying ways to continue their core business while incorporating environmentally leading solutions – without sacrificing one for the other. Rooted in her passion for identifying new market opportunities and for the resource sector and environmental stewardship, Sam joined the strategy and operations practice of Deloitte Consulting. She worked with oil sands operators, precious metal miners and pipeline companies to identify ways to decrease their use of water and carbon-intensive fuels and to increase executive teams’ visibility into their field-based operations. Keen on becoming better acquainted with innovative clean technologies sprouting in the startup world, Sam landed a role with the Cleantech Group headquartered in San Francisco. 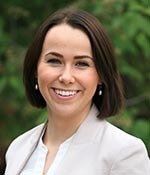 Now with Stack’d Consulting in Calgary, she works with executive teams to integrate sustainability into business plans. 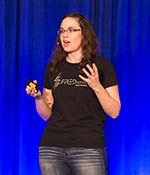 Most recently, Sam and her colleagues at Stack’d partnered with a local waste hauler to pursue their desired future state, by aligning with select customers who prioritize responsible waste diversion practices over pricing, thereby becoming a niche provider who focuses on customer service and environmental outcomes. 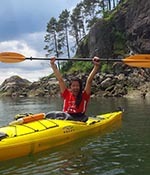 Tesicca is an inspiring youth leader in the Vancouver community and beyond. She founded a project called Youth4Tap in 2012, designed to eliminate bottled water in school vending machines through policy, supporting tap water use with the installation of new water bottle refill stations and educating the student population through campaigns. In 2013, Tesicca co-founded the Vancouver School Board Sustainability Conference. More recently, she worked on a project with the David Suzuki Elders that encouraged children to play without using plastic toys. She has also worked as board chair of Sustainable SFU, a student organization leading sustainability initiatives at Simon Fraser University. In 2015, the City of Vancouver recognized her efforts by presenting her with the award of excellence for Greenest City Leadership and Simon Fraser University awarded her the President’s Award for Leadership in Sustainability.